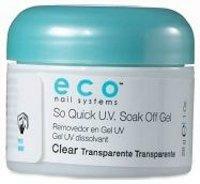 The fastest soak off UV gel in the industry! 3 minutes to cure, 5 minutes to soak off. Strengthens natural nails, never separates at the free edge, never lifts, no rubbery finish, fill and smooth uneven ridges, dries instantly with UV light. Clear never yellows. This product is formulated to cure with UV lamps only. It is not formulated to cure with LED lamps. The quickest soak off gel with one minute cure time and five minute removal. Soft, flexible and durable. Self-leveling, glossy finish. 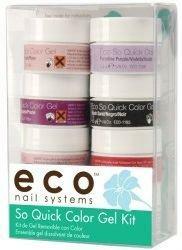 For natural nail, gel and acrylic overlays. Not formulated to cure with LED lamps.